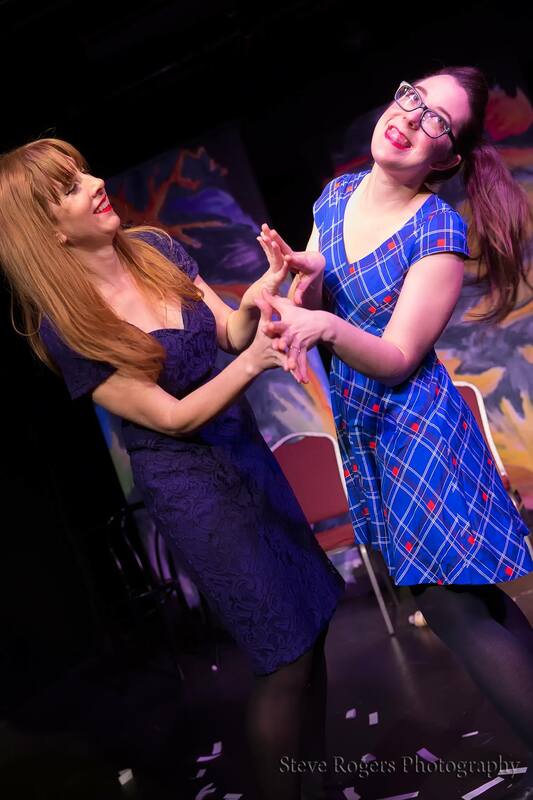 The Big Bash‘s all-star lineup of performers will kick off your weekend with games, scenes and improvised stories in the audience’s favorite genres. This show combines the very best parts of the Hideout’s award-winning shows and award-winning improv comedians. The Big Bash is a guaranteed hilarious date night, company outing, bachelorette party, and more. 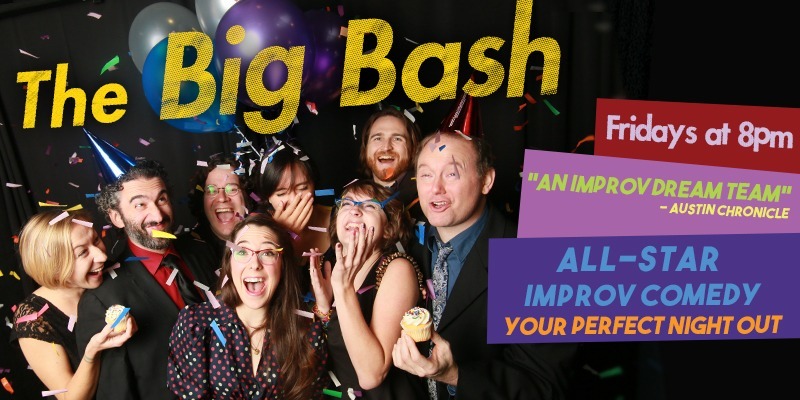 Join our spectacular award-winning cast and crew, Fridays at 8pm for The Big Bash: All-Star Improv. We love group sales. Company outing? Bachelorette party? Family reunion? If you’ve got a party of 10 or more, email roy@hideouttheatre.com for discounted tickets to The Big Bash! Or if you’d like to arrange for a private show for your organization, book a Big Bash just for you and up to 90 of your closest friends! Check out details on our private entertainment options. Runtime: Approximately 1 hour and 45 minutes.